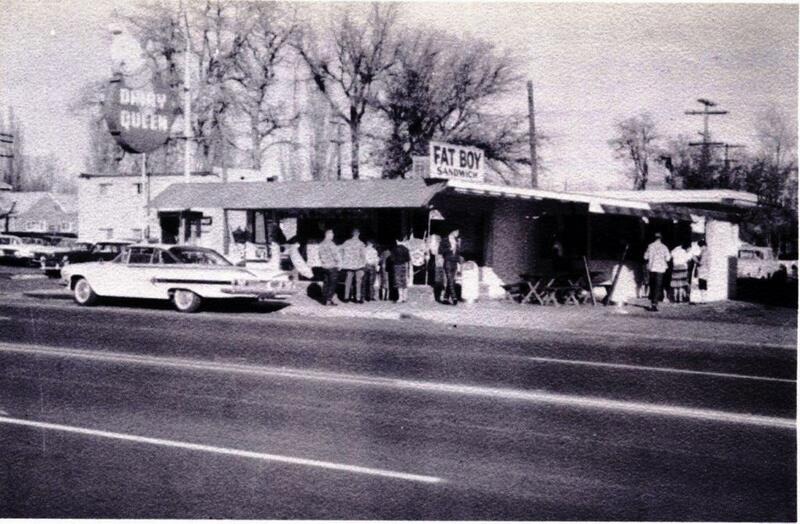 For a few decades, this was the place to be. 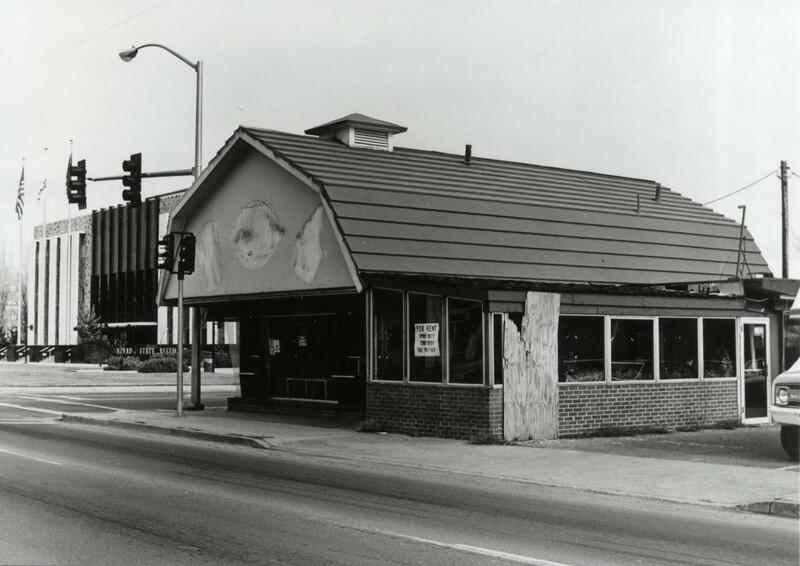 This barn at the southeast corner of Carson and Fifth housed Dairy Queen, the best place to get ice cream and hang out. Kids from all over Carson would walk here after school or on the weekend to get Peanut Buster Parfaits and Dilly Bars. Back then, the town was smaller and safer so it was easy to walk everywhere. As they got older they would get a job here, working for Bill and Vic Kangas. This was the social center of Carson for those under 18. The “barn” structure seen above was an expansion of the building, which originally was just a single story diner. But nothing lasts forever. Time moves on. 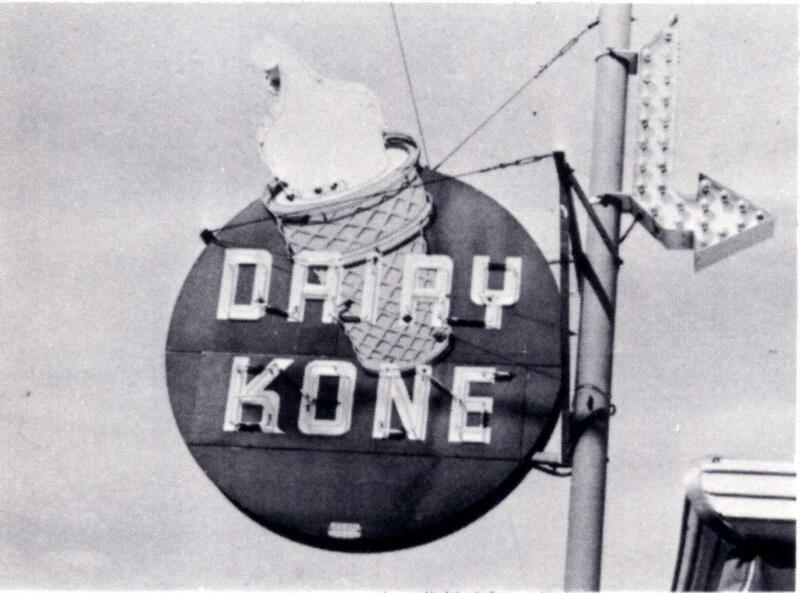 The round sign from the Dairy Queen was repurposed for the Dairy Kone down the street. They just changed a few letters. 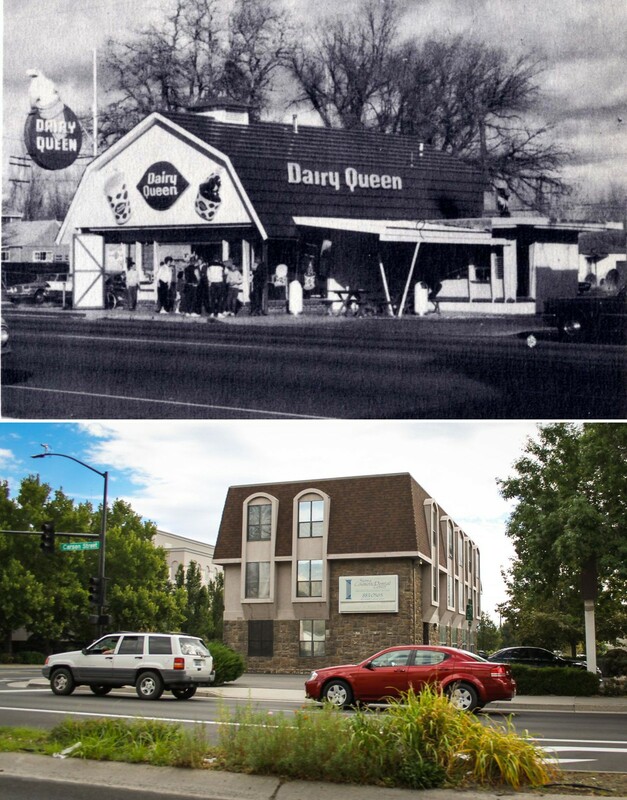 By the early 80s, Dairy Queen was closed and abandoned, another casualty of the sprawling growth of Carson City and the move away from downtown. In the 1980s, the building was demolished. 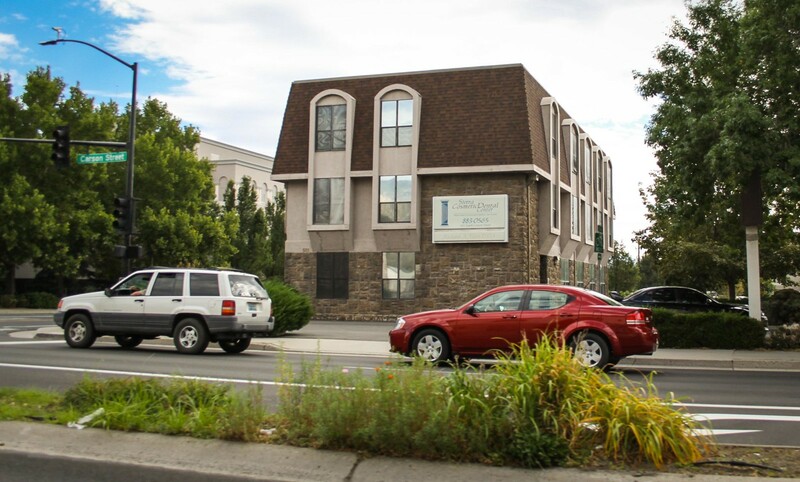 This office building was placed on the corner, a weird eyesore by anyone’s opinion. The building was designed by Art Hannafin, though the story is he just followed his client’s instructions to the letter, since Art’s stuff was usually better than this. It is now the home of the Sierra Cosmetic Dental Center. A new Dairy Queen has since opened on Hwy 50 East, in the shopping center at the corner of Airport Road. It’s not exactly walking distance anymore for most of the kids of Carson City. My first job was at the DQ. We got a free burger and a soda once per shift. 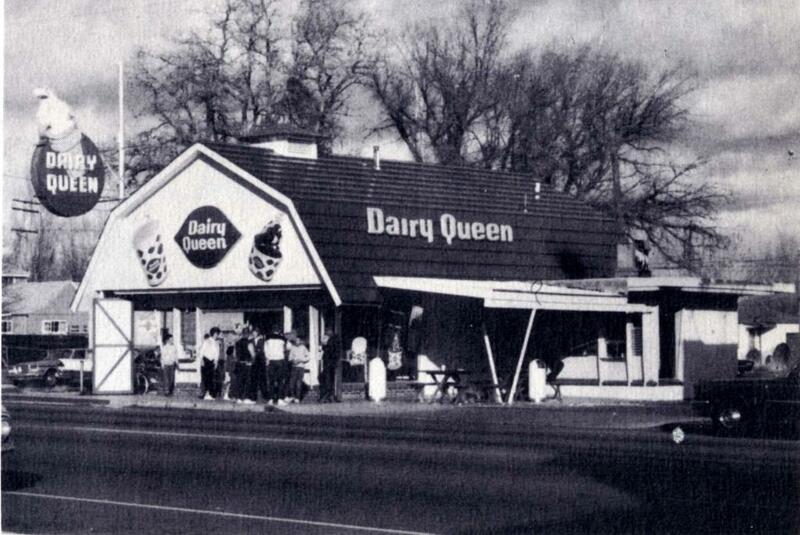 When I was 12 (1972) I used to ride my bike here after work for burgers and dilly bars. I worked freelance at the cemetery cleaning, pruning, and watering graves, so even as an orphan from the children’s home, I could easily afford it. I wouldn’t recognize the spot now, after all the new construction. I was there when they started tearing up the lot across the street for the first big building.